The Rialto is a lovely and economical Fremantle accommodation self contained place to stay. Ideal for your next Fremantleholidays. 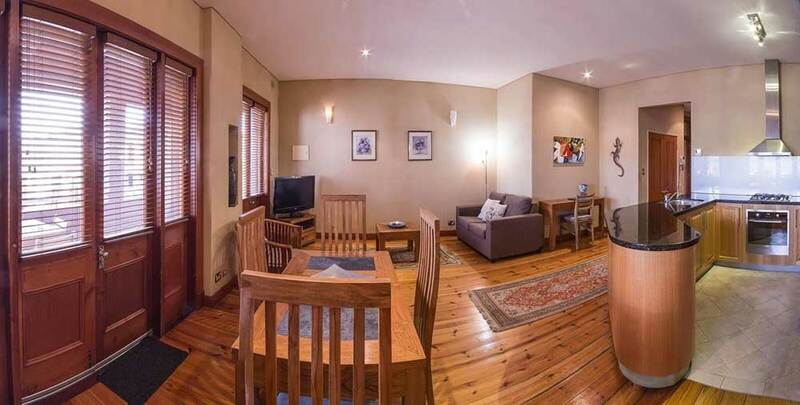 The city of Fremantle is a fantastic living area within walking distance of the Indian Ocean. The nearby city centre and a short walk to public transport make our location ideal when considering accommodation in Fremantle. Fremantle is a port city by the beach in Western Australia, which covers one-third of the country. The busy port is an important one for local and international cruise ships. Our central Fremantle Apartments for rent are an excellent choice if you are coming to Western Australia for holiday accommodation. Our apartments are comfortable, stylish, clean, and come with air conditioning. Not to mention our friendly and helpful staff ready and waiting for you with a smile. The Rialto Apartments have three types of room and all with balconies. Our Deluxe Apartment features a balcony and a fully equipped kitchen. Please note that the double bed is smaller than standard sizing. This apartment has two bedrooms and a sofa bed. The Superior Apartment has lavish master bedrooms overlook the ocean. The elegant suites feature twin vanities and a spa with ocean views, perfect to enjoy your champagne. We also have a one-bedroom apartment that accommodates two people comfortably. The room size is 60 square meters. Enjoy shopping at the local Fremantle markets where visitors and locals find all sorts of fun things. You can also visit the famous Round House, a historical landmark that once functioned as a prison for a little while. Enjoy our Victorian architecture; perfect for those who love taking pictures. For more information or to make reservations, book now through our website or call us at +61 403 180 206. We look forward to hearing from you!